A Trojan-Ransom program has been detected in the wild. As a matter of fact, the threat was first discovered in 2011, but has been recently revived. It is dubbed Trojan/Win32.Rector.a[Ransom] and allows attackers to steal important information from the attacked system. Also, Trojan/Win32.Rector.a[Ransom] can destroy certain files and perform a number of malicious operations. The file-encrypting Trojan runs on Microsoft 32-bit operating system. It affects files with the following extensions – JPG, DOC, PDF and RAR. Download a System Scanner, to See If Your System Has Been Affected By Trojan/Win32.Rector.a[Ransom]. Rector, as security researchers call it for short, is designed to download malicious applications and execute them with the user’s initial knowledge or consent. Luckily, Kaspersky has found a solution to the malicious file encryptor that doesn’t require payment. The Rector has been detected under several other names by different anti-virus programs. Microsoft detects it as Trojan:Win32/Orsam!rts, Avira – as TR/Ransom.Rector.A. The file-encrypting Trojan may have entered the system through drive-by downloads, opening corrupted links or downloading infected files (programs, torrents). Such cyber threats may also be capable of exploiting vulnerabilities in network services. To stay safe, the user should pay close attention to the emails he receives, especially when their sender appears unknown. Also, downloading free software from secure sources is highly advisable. 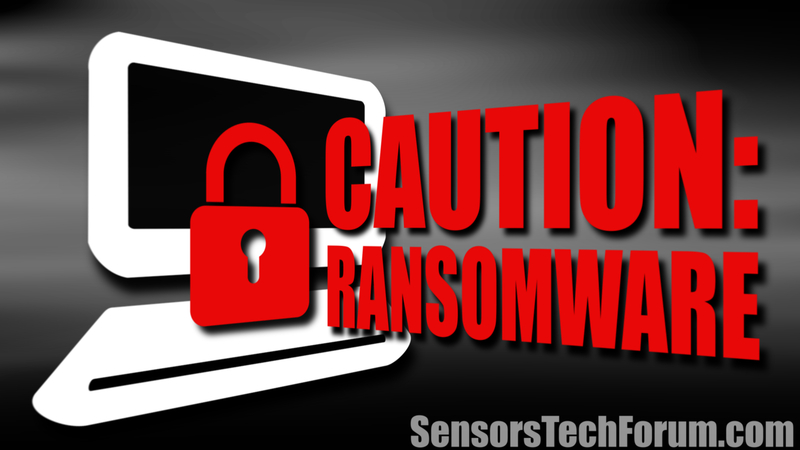 As already mentioned, once activated on a system, the Trojan ransomware will attempt to alter the user’s data so that it cannot be used anymore. As a result, the user will receive a ransom message written in Cyrilic, asking for a fee to be paid so that the files are deciphered. Trojan/Win32.Rector.a[Ransom] also gets in the way of the PC’s normal performance. Once the fee is paid, the user should receive an application that should be used to restore the encrypted data. However, security experts always highlight the fact that, with ransomware, paying the ransom doesn’t necessarily mean data restoration. The safest way to protect one’s PC from such attacks is backing up important files. A USB device can be used, or a cloud service. Kaspersky as just released a simple tool that removes all traces of Trojan/Win32.Rector.a[Ransom], as well as Xorast, Hanar or Rakhni. The utility is called RectorDecryptor and is designed to scan hard drives and detect encrypted files. It is recommended to move the affected files to a separate directory and save any opened documents before scanning the system via the utility. Furthermore, a log file is created on the local disk, so that the RectorDecryptor’s actions are observed. →NB! Even though the Kaspersky’s solution can be used on systems affected by Trojan/Win32.Rector.a[Ransom], it cannot be used a permanent anti-virus protection. RectorDecryptor is set to run alongside the primary anti-malware solution installed on the PC. A helpful video is provided below the article, explaining how malware works and how to guard the system against its numerous variants. Threats such as Trojan/Win32.Rector.a[Ransom] may be persistent. They tend to re-appear if not fully deleted. A malware removal tool like Combo Cleaner will help you to remove malicious programs, saving you the time and the struggle of tracking down numerous malicious files. Threats such as Trojan/Win32.Rector.a[Ransom] may be persistent on your system. They tend to re-appear if not fully deleted. A malware removal tool like SpyHunter will help you to remove malicious programs, saving you the time and the struggle of tracking down numerous malicious files. Note! Your computer system may be affected by Trojan/Win32.Rector.a[Ransom] and other threats. SpyHunter is a powerful malware removal tool designed to help users with in-depth system security analysis, detection and removal of threats such as Trojan/Win32.Rector.a[Ransom]. 1. Install SpyHunter to scan for Trojan/Win32.Rector.a[Ransom] and remove them. 2. Scan with SpyHunter, Detect and Remove Trojan/Win32.Rector.a[Ransom]. Ransomware infections and Trojan/Win32.Rector.a[Ransom] aim to encrypt your files using an encryption algorithm which may be very difficult to decrypt. This is why we have suggested several alternative methods that may help you go around direct decryption and try to restore your files. Bear in mind that these methods may not be 100% effective but may also help you a little or a lot in different situations. Note! Your computer system may be affected by Trojan/Win32.Rector.a[Ransom] or other threats. Remove Trojan/Win32.Rector.a[Ransom] by cleaning your Browser and Registry. Fix registry entries created by Trojan/Win32.Rector.a[Ransom] on your PC. Combo Cleaner is a powerful malware removal tool designed to help users with in-depth system security analysis, detection and removal of threats such as Trojan/Win32.Rector.a[Ransom]. Step 5: In the Applications menu, look for any suspicious app or an app with a name, similar or identical to Trojan/Win32.Rector.a[Ransom]. If you find it, right-click on the app and select “Move to Trash”. Step 6: Select Accounts, after which click on the Login Items preference. Your Mac will then show you a list of items that start automatically when you log in. Look for any suspicious apps identical or similar to Trojan/Win32.Rector.a[Ransom]. Check the app you want to stop from running automatically and then select on the Minus (“–“) icon to hide it. Remove Trojan/Win32.Rector.a[Ransom] – related extensions from your Mac’s browsers. A pop-up window will appear asking for confirmation to uninstall the extension. Select ‘Uninstall’ again, and the Trojan/Win32.Rector.a[Ransom] will be removed. When you are facing problems on your Mac as a result of unwanted scripts and programs such as Trojan/Win32.Rector.a[Ransom], the recommended way of eliminating the threat is by using an anti-malware program. Combo Cleaner offers advanced security features along with other modules that will improve your Mac’s security and protect it in the future. Hey !, I found this information for you: "Remove Trojan/Win32.Rector.a[Ransom] and Restore Encrypted Data". Here is the website link: https://sensorstechforum.com/remove-trojanwin32-rector-aransom-and-restore-encrypted-data/. Thank you.